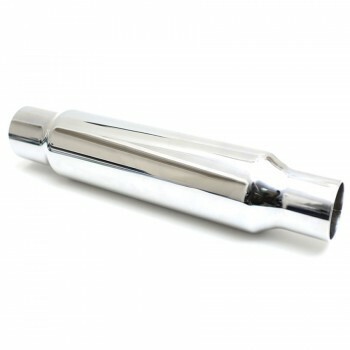 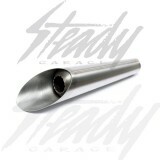 Universal Slash Stainless Steel muffler will be sure to make your bike stand out! 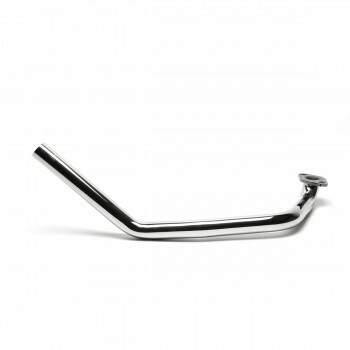 Aggressive and appealing for motorcycles, choppers, bobbers, scooters, Ruckus, Grom, and more! Slash muffler, custom fit this to your desired header and have your own unique exhaust system! 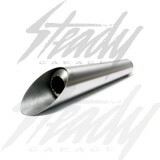 Hand made in the USA from 304 Stainless Steel! 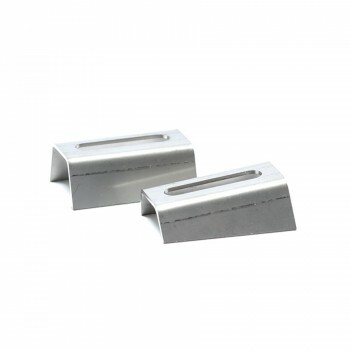 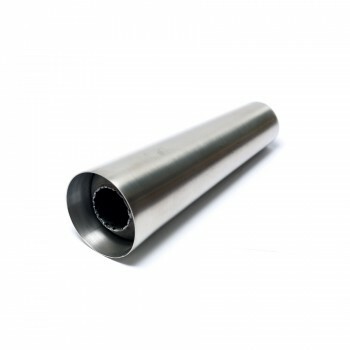 Can be fabricated for slip-on or weld-on fitment. 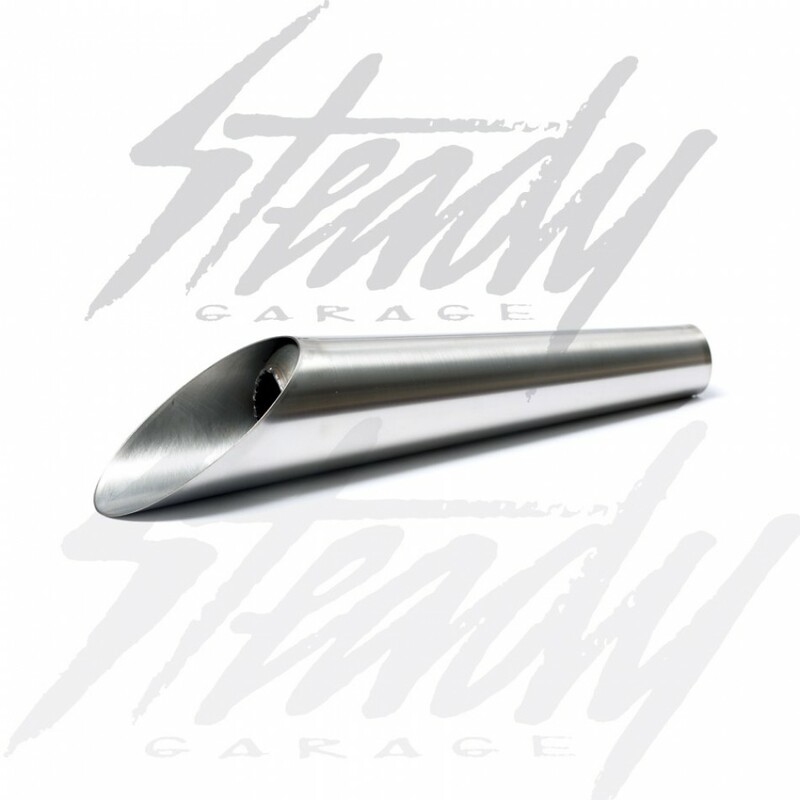 No tabs are welded to the muffler, which makes this truely a custom component for your exhaust system!